No need to re-key data. Customers can pay their bills online. The payments are immediately updated in the AR module of Dynamics SL. Because its integrated with Dynamics SL® you won’t have to worry about manually applying online payments to outstanding invoices because everything is automatic. More than just online payment, Account Central™ allows complete statement review, invoice detail review, and invoice history search. Worried about storing credit card and other sensitive information on your servers? 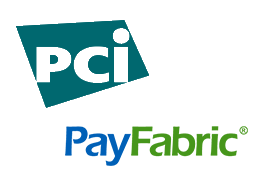 Account Central uses state of the art PCI Compliant payment solutions. Integrated with PayFabric cloud based service, you get paid without ever having to touch credit card information. 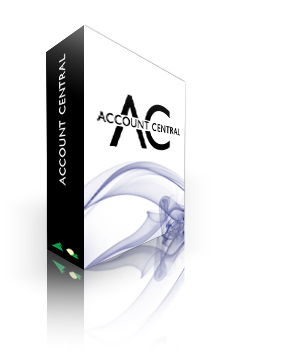 Account Central™ provides an easy way to offer web based statements, invoice detail, and online payments to your customers. Implementing Account Central™ with Dynamics SL does more than provide a great customer self-service element, it can also make a serious impact on collection to improve the bottom line! 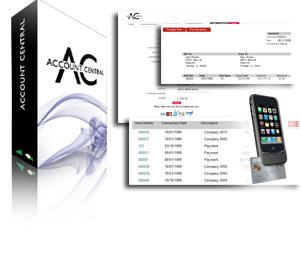 More than just online payment, Account Central™ allows complete statement review, invoice detail review, and invoice history search. And because its integrated with Dynamics SL® you won’t have to worry about manually applying online payments to outstanding invoices because everything is automatic. Account statements allow customers to review account balances by date range and other selection criteria. 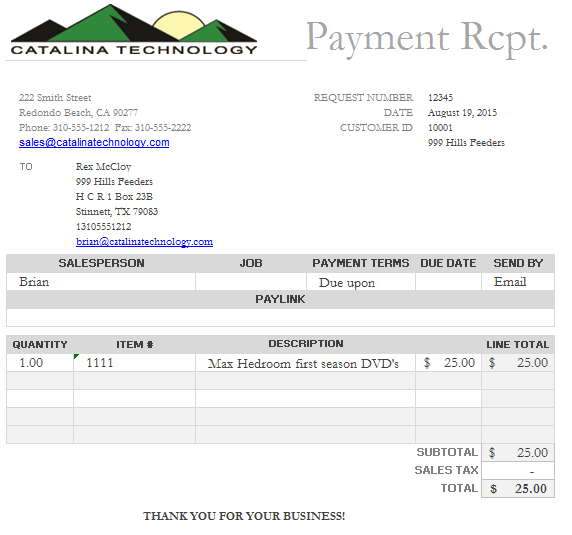 The Order Receipt page is an built to allow any number Header, Line or payment details. 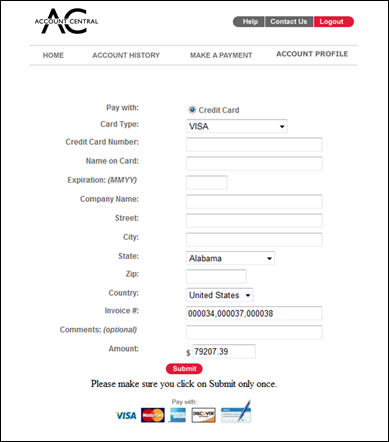 Using the PayFabric PCI compliant API, Account Central integrates with many payment Gateways. Download a powerpoint or PDF presentation describing the Account Central online payment solution for Dynamics SL.